Winter Park Veterinary Hospital has doggie playcamp! Your dog will play safe under the watchful eye of our play group supervisors. 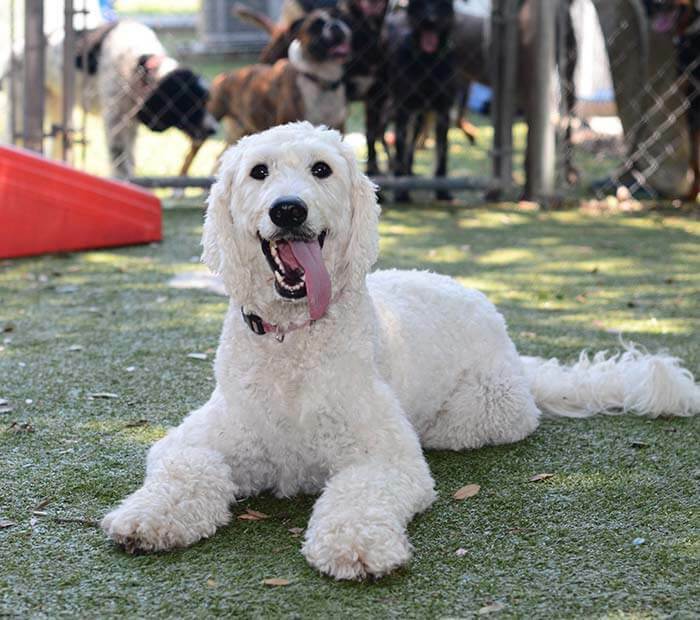 We are different from every other doggie day care in Orlando because we are centrally located in Winter Park, have air conditioned indoor/outdoor center with multiple outside play yards, and are inside a veterinary facility allowing for immediate veterinary care should any problems arise during dog playtime. Doggie PlayCamp, (3) 60-90 minute supervised play-groups per day.